Two flute, carbide tipped. Choose decorative edge profiles, sign making or hinge mortising. 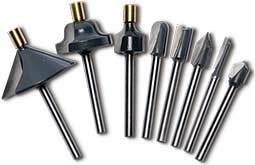 Edge routing bits feature a 5/32" brass pilot to guide the router bit around the material being routed. The brass pilot allows the bits to get into tight areas that conventional "bearing guided" bits cannot. 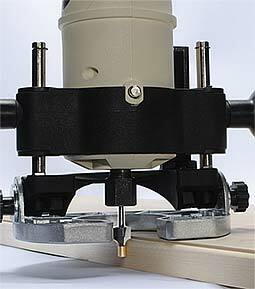 Save time and get more accurate results than achieved by hand sanding or chiseling.